-- A weekend conference (meetings starting Friday evening and running through Sunday evening. -- A Sunday morning through Wednesday evening series of meetings. 1. The Abiding Life - In this series Dennis teaches on the basics of Jesus' primary command to His followers: "Abide in Me." In these teachings he breaks down the classic chapter on abiding, John 15, and discusses the various areas of what abiding looks like in the life of the believer. 2. The Ways of God - Dennis ministers on some of the fundamental ways in which God deals with His children. Some of the topics he covers include: "The slowness and speed of God," "The hiddenness of God," "The power of repetition," and more. 3. The Return of Christ - In this series Dennis deals with some of the major doctrines of our Lord's return. Messages include: "The Day of Jesus Christ," "Signs of the Times," "The Restoration of the nation of Israel," and others. 4. The Making of a Man or Woman of God - Dennis uses the ways and means by which God prepared various Biblical men of faith to demonstrate how He works in our lives today to equip us for the fullfillment of His calling. Some of the men Dennis uses in demonstrating this include: Moses, David, Jacob, Paul, and others. 5. Know the Will of God - In this series Dennis teaches some of the key concepts that we must grasp in order to consistently walk in the will of God. The will of God is something that all Christians wrestle with, and while this series won't guarantee that you will never miss it, it will provide solid keys to help you and you seek to follow Jesus, our Good Shepherd. Dennis teaches many other series, including The Tough Questions of the Bible, How to Receive from God, Evangelism, Divine Healing, The Power of Grace, The Exchanged Life, and others. 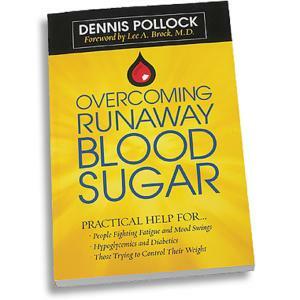 Dennis has written a book titled Overcoming Runaway Blood Sugar, and is now in the process of publishing a second book on a similar theme. He is available to do a Saturday morning workshop on diabetes, hypoglycemia, and blood sugar issues in your church. See our diabetes resources page. Note to pastors: Throughout his life Dennis has ministered in a great variety of churches. 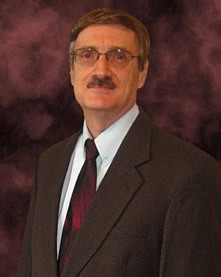 His teachings are Christ-centered, word-based, and evangelical. His ministry works well in a variety of churches and settings. 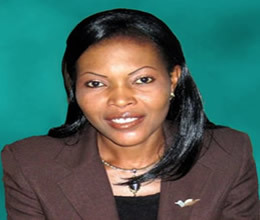 Benedicta - Benedicta normally accompanies Dennis when he ministers. She is available to share at ladies meetings, and give her testimony as the Lord leads. Requirements: Dennis comes on a love offering basis. He does not request that a love offering be taken on Sunday morning, since this is the normal time church members give to their local churches. He does ask that a love offering be taken at any other meetings held. He also asks that his (and Benedicta's) transportation and lodging be paid for by the host church. To set up a conference or inquire about possible dates, please feel to email us or call us. Go to our contact page.